The concept of propaganda is one that most of us associate with history class, studying the use of these manipulation tactics throughout such significant historical periods as the first and second world war. Once a technique limited to the stories shared in our most trusted newspapers, with today’s technology, this powerful tool of manipulation is far more powerful than ever before. Today, the American Government has a full arsenal at their disposal, with the television and radio, along with the Internet and social media. Never before has it been so easy to ‘enter’ into the homes of the average American, pushing a specific agenda. 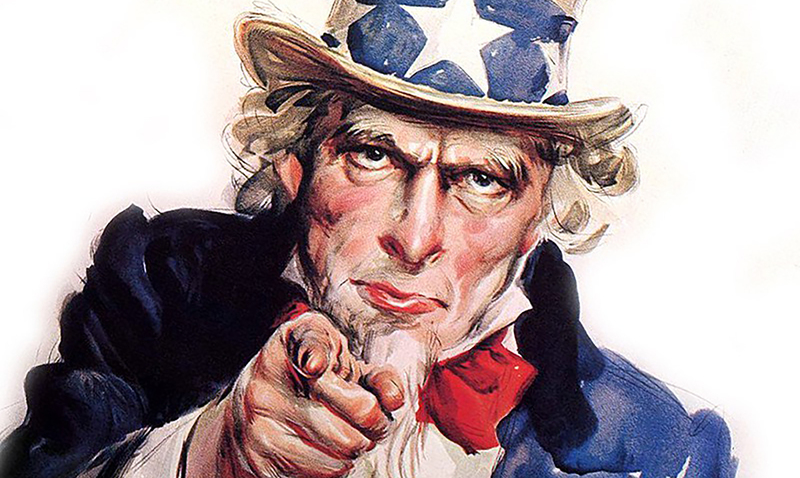 The iconic image of Uncle Sam pointing in your direction, declaring ‘I Want You’ is one that is well known, and will never be forgotten. First appearing on the cover of Leslie’s Weekly on July 6, 1916, the point in our history where the United States was entering into World War I, the ad was specifically designed to encourage Americans who were of recruiting age to buy into their country’s efforts and join the military. 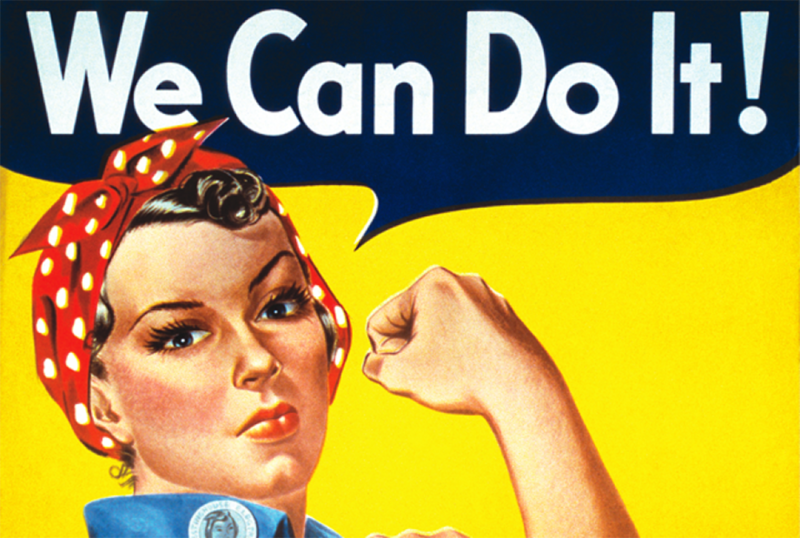 This use of propaganda continued throughout the years with the appearance of Rosie the Riveter, encouraging the women of the nation to step up their efforts, and more recently the use of propaganda in the campaign efforts of both Barrack Obama and Donald Trump. A new form of propaganda, however, has emerged and it appears that those with influence are trying to keep it from coming to light. A video was recently released online highlighting the surprisingly similar scripts used by various new stations, calling to question whether the information being shared was genuine or merely the presence of a script that extended across the country from new station to news station. In the video, broadcasts from a number of ‘local’ news stations were matched up, showcasing not only similar opinions but a number of phrases that were actually shared word for word despite being from ‘different’ sources. The statement may trigger eye rolls or groans, especially if you continue to watch the video. At one point, over 30 different stations are shown saying the same thing, dictating the same message. As a country, we pride ourselves on democracy, but can democracy prevail when the very source of information upon which we base our opinions are so obviously controlled and manipulated by those in positions of power? Reporting on the phenomenon, CNN reveals that these news anchors are not only told what to say, but even given specific instructions as to how they should dress, and the way in which they should portray themselves while on camera. A document that they were provides is said to state: “Please produce the attached scripts exactly as they are written. This copy has been thoroughly tested and speaks to our Journalistic Responsibility as advocates to seek the truth on behalf of the audience.” This statement is followed by the specific instructions with which the anchors are asked to proceed. How can we, as a country, believe that we are permitted to form our own opinions and exercise democracy when it is so clear that the very source of information that we are provided is being used to push a clear agenda? Share this information to help open the eyes of the honest, hardworking Americans. We need to ensure that we are afforded the ability to make our own conclusions based on fact, not the ‘fake news’ as dictated by those in positions of power in an effort to push their own political agenda.